I have been studying UFOs and other paranormal subjects for about 50 years now. I have run a few large UFO groups around the country, and I have noticed over the years that the participation of people under the age of 25 has been minimal. I would think that this age group would have some interest in the UFO subject, but maybe not; or maybe interest comes to people as they mature and realize reality is not what it seems. Well to my surprise I ran into a young man while I was working in Dallas the last few weeks that had a major interest in UFOs and everything paranormal. The young man and I were talking about a work-related matter when he out of the blue mentioned Sacred Geometry, something you don’t hear from young or old these days. So I pursued the subject and to my surprise he had a good understanding of Sacred Geometry, and furthermore, he was into UFOs and the paranormal. 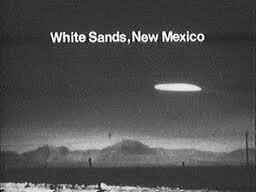 While he was in the service he was stationed at White Sands in New Mexico and he and a group of fellow soldiers saw an amazing display of UFO sightings. They were doing night patrol and a large formation of UFOs danced through the sky for several minutes, an event he has never forgotten that helped motivate him to explore our Universe from a totally different vantage point. My new friend had an amazingly open mind and was beside himself knowing he was hanging with a mature (although somewhat crazy) adult, who shared his interest in the unknown. Unfortunately we were in a work setting which limited our conversation, but I was happy to share a story or two and hopefully it will further motivate this young man to continue to expand his wisdom of our true reality. Sleep tight; if you are under 25 come join the reality of the New Humanity.